The war at home has entered a state of provocation. The “war” to which I refer to in the title is, of course, the conflict between my cats and dogs. For those recently joining in, the house is separated into the upstairs and downstairs. It didn’t always use to be this way, but when we got Star (who is now the oldest of our dogs), we didn’t realize she wasn’t at all cat-friendly. So, now, the dogs rule the downstairs and the cats occupy the upstairs. 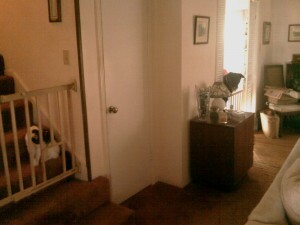 A set of children’s gates separate the upstairs and downstairs. For the most part the dogs stay in the kitchen, except if we’re spending time with them downstairs. 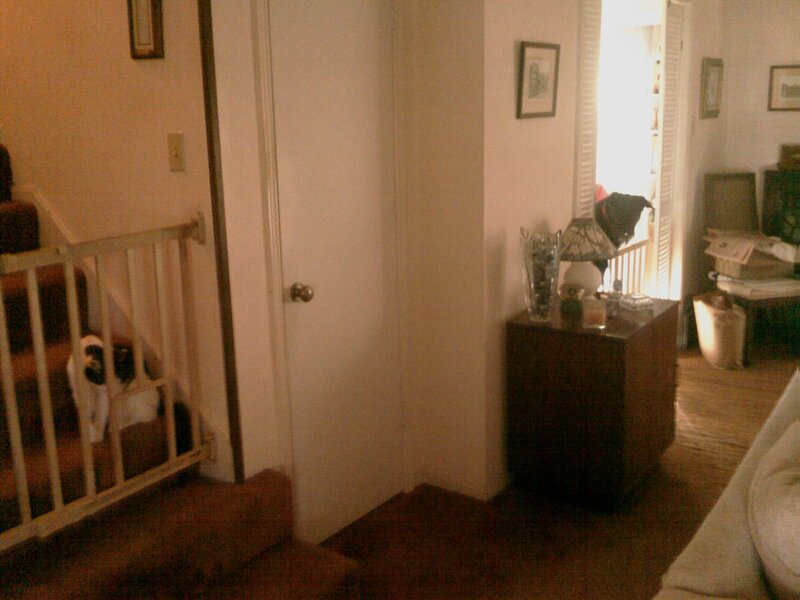 So, there are gates at the bottom of the stairs and at the entrances to the kitchen. Every so often, Gus (one of the two cats) would come to the bottom of the stairs and start making his presence known if he wanted to be fed. Star would hear him, go over to the kitchen gate, jump up, and lean over to see if she could see him. If she happened to get a glimpse of him, she would go berzerk. If you’re wondering what that scene would typically look like, it looks like this. Well, recently Gus has started to realize that Star would go berzerk if he speaks out and makes his presence known… and that she would be the one shouted at, not him. So, he’s started coming downstairs and provoking her as much as possible. It’s not the first time he’s found a way to provoke them; he’s also been known to come downstairs and stand in front of the gate while they sleep, wait for one to notice him, and then slink away when they start going nuts. However, this time, he’s availing himself of this opportunity as much as possible. Unfortunately, this time, it’s backfiring on him. Three times already either me or my Dad have had enough and carried him upstairs (while he protests) and shut him in my parents’ bedroom. Hopefully soon he’ll realize that if he provokes the dogs like that, he’ll get shut in for a while. Then maybe we’ll get some peace and quiet. I’m not counting on it, though.